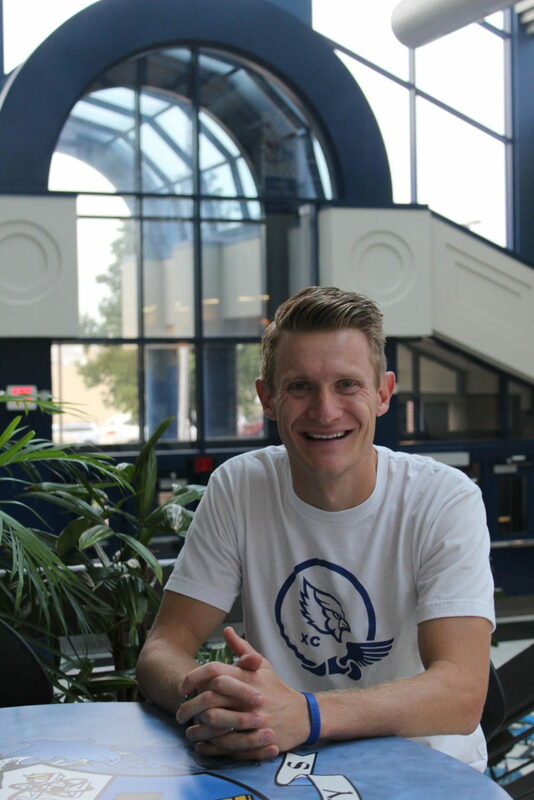 Cross country coach Jordan English shares diverse enjoyable moments in his life. The last day of summer. A long bike ride, a nap and not going to work. The effort the runners show during races is really impressive. They take big risks in the middle of races and sometimes the risks pay off and sometimes they don’t. When I went on a run this morning. I love morning runs. That’s time where I get to be alone or do something I really want to do. The passing of Coach Nixon has made the season really hard. This is my first time doing Cross Country without him. I always feel really good when I’m on a run. It clears my thoughts and clears my mind. With busy Cross Country stuff and being busy at home with kids, it’s nice to have that space to feel alive. Nick Riedel has times when he can’t stop smiling or laughing, which makes me laugh. He couldn’t stop smiling while listening to a basic workout. It’s a little contagious moment.